I nearly entitled this posting, In Which I Am Invited, as I didn’t see much “infiltration” going on at the Chanel Fragrance Master Class hosted by Sniffapalooza on Saturday, March 1. Trajecting the inner sanctum of Monsieur Karl?––now, that would be infiltrating! After all, I paid my admission just like everyone else. The morning session, which I attended in its entirety, was one of the best-organized events of its kind. After a harrying cab ride from the FDR Drive, I was relieved to be warmly welcomed into a cool, clean, orderly space finished in Chanel’s inimitable white-outlined-in-black. A delicious breakfast was laid out for us, including a near-perfect yogurt parfait from Brasserie 8-1/2. From the outset, this day was going to be as much about the stimulation of the senses as the pampering of them. Eden McCracken, who conducted the class with a team of five assistants, was a tall, striking presence in a black dress adorned at the waist by a stunning feather rosette, covered in a flowing silk wrap that went all the way to her black leather bottines. She did Karl proud. The session lasted about 3 hours and covered the signature scents, not surprisingly placing the utmost attention on the the rose de mai/jasmin de Grasse accord in No 5. Interesting, indeed, it was to learn that the eau de toilette concentration (engineered by Ernest Beaux in 1924) has a Tunisian néroli top note which is quite conspicuously accentuated by sandalwood in the base. Likewise, the eau de parfum concentration done by Jacques Polge in 1986 accentuates the vanillin. Eden used a video presentation to explain the oft-used musical metaphor applied to scent, stressing how the higher-toned notes correlate with the highly volatile citrus accords, middle tones with florals, and bass tones with fixatives. She then gave a full-dress presentation on the Les Exclusifs , including a sneak-peek at Sycomore, a lovely vetiver eau de toilette rendition due out in the next couple of months. What continues to amaze me about the Les Exclusifs collection is how pure the scents smell. Minor masterpieces of perfumery (though some would differ with me and push 31 Rue Cambon higher on the scale), they nevertheless betray an innocence-joined-to-sophistication that Gabriele “Coco” Chanel would have applauded. I wouldn’t blame anyone for wanting to own the entire collection. And in typical Chanel fashion, the day would not have been complete without a complimentary No 5 EDP, which now adorns my nightstand. Karen Dubin and Karen Adams clearly outdid themselves in making this grand affair take place. If anybody did the infiltrating, it was that duo. Bravi, tutti. Image credit: Andy Warhol, Chanel No. 5. Courtesy of the Andy Warhol Foundation. Genlemanly and succinctly put, dearest. Eden was as swanny as they come, and gracious. Nonetheless,it was a delightful experience, beautifully executed. well, and the marvelous company, of course! as always - well done and thanks! Chaya- In the words of Madame de Staël, "to understand all is to forgive all." Having taught many classes, I can vouch for moments where something comes out the wrong way and gets misinterpreted. I wish that more had been said re aldehydes (the real star of No 5) and extrait concentrations of classics like Cuir de Russie. I'm told they're only available in the Paris store. Mark David, yes! Perfume is a luxury. But, in itself, it contains a spectrum or scale of luxuries, ranging from eau de cologne to the finest extraits. Chanel is one of the few companies nowadays that understands that spectrum and does not pander to mere thrill-seekers. I'm a little surprised at the date given for the eau de toilette of N°5. Jean Kerléo told me that edt renditions of perfumes only started post WWII. Of course, Ernest Beaux could have done it since he was still the in-house perfumer at the time... Chanel (both the woman and the brand) has never been averse to rewriting her/its history a bit. The musical simile has been around for at least 150 years. I am now reading Edmond Roudnitska's conference and he seems to have strenuously objected to it, on the grounds that perfume "notes" are infinitely more complex than musical notes, and that perfume is non-linear... The need to compare perfume composition with other arts speaks volumes on the difficulty of speaking of perfumery. It seems to have been a delightful experience (when is 3 hours talking and smelling, and Chanels of all things, not a delightful experience?). And I agree: the Exclusives are well worth owning and enjoying. I am now the proud owner of very large decants of the whole line and am working my way through them: it's pretty much a complete wardrobe. D., Quite thought-provoking comments. I would very much appreciate knowing if this conference you cite is available in a decent English translation. 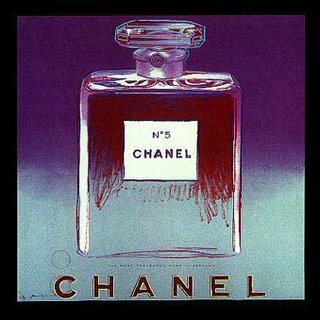 As for the claim that the EDT was formulated in 1924, I see no reason why it would behoove Chanel to lie about such a thing. But, as we've grown to believe, even negative publicity is good publicity. At the end of the day, the quality and caché of the juice is unapproachable. And, as for Les Exclusifs, who could complain about such a wardrobe? They're very, very competently done. As always, your writing transports the reader and makes them feel as if they were there with you! A beautiful portrayal of our elegant entree into Chanel's private offices. Oh, and just to set the record straight, Chanel did not give any incorrect information. Marina is the only one who mysteriously heard Eden say there were only soliflores produced before Chanel No. 5. What a preposterous notion! Clearly a misunderstanding on her part. It was a pleasure to meet you, however briefly (!) at the start of the 2nd session and I was so glad to see your post about it today. I agree with you (and the charming Chaya-Ida) that Eden and her team were terrific. Chanel clearly respects the perfume enthusiast. I love the square sturdiness of these flacons,and how they feel in my hand. I'm completely besotted, it's true. I feel like I was there: your descriptions down to the last sartotial detail is impecable! NTW, there are lots of articles on Roudnitska on the Art et Parfum site, maintained by his son, Michel. But I do believe they're in French as well. Denyse, Gail, Elena, Karen ... thank you all. Who would have imagined that this would be my way back into reading en francais ... through Roudnitska. How marvelous. I'm assembling my summer reading list! And, yes, Karen - those bottles are divine. Their clarity and heft, magnetic caps - who could ask for a better presentation?! Last week I aimlessly walked through Norstroms in down town Seattle an stumbled upon Les Exclusifs collection and a wonderful sales professional Tina Marie who delighted in show me each of the 10 fragrances as well as wonderful stories of her travels, her love for Mademoiselle. I purchased the Gardenia and an atonimizer (sp) of the 31 Rue Chambon, they smell great layered. If your ever in downtown Seattle, please stop and see my dear friend Tina Marie, send the love of the other Tina Marie in Salt Lake City.